The commercial network is made up of 23 subsidiaries which cover more than 100 countries and provide service and sale services, from financing to the equipment maintenance. The French group became one of the international leaders in the field not only due to the quality of the produced equipment but also due to the well-organized customer service department and to the employees’ ability to promptly satisfy the clients’ demands. 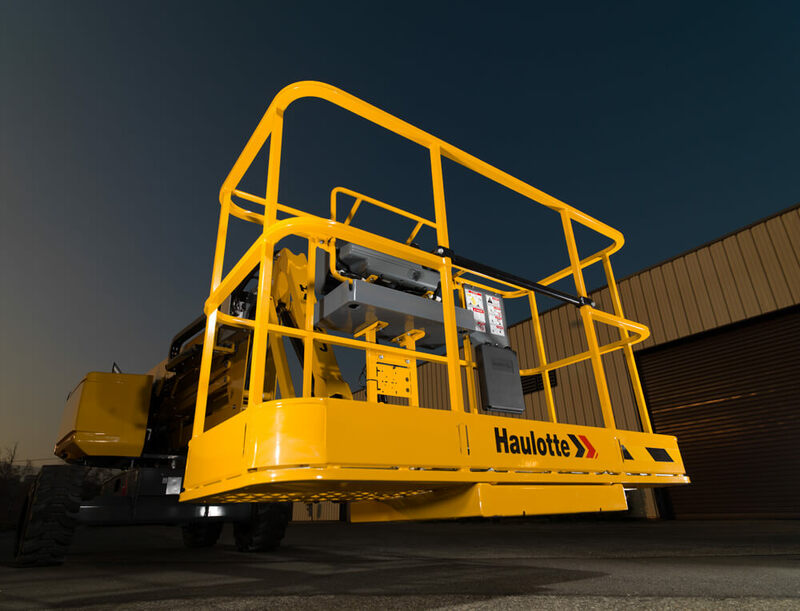 With over 100 years of experience in the equipment transport and material handling field, Haulotte Group, quoted on Paris Stock Exchange since December 3, 1988, has recently purchased the American company BilJax, has permanently extending the product range with over 60 models, which satisfy the clients’ needs: aerial working platforms, telescopic handlers, earthwork equipment and so on. With a turnover of Euro 519.3 million at the end of 2006, Haulotte Group is permanently investing in the increase and diversification of the output, developing a solid and professional sale network. One of the most recent investments is represented by the production facility built in Romania, near Mioveni. The group history begins in 1881, when Alexandre Pinguely sets up his own company, another significant moment being the year 1924, the year when the “Arthur Haulotte Construction Workshops” were created. 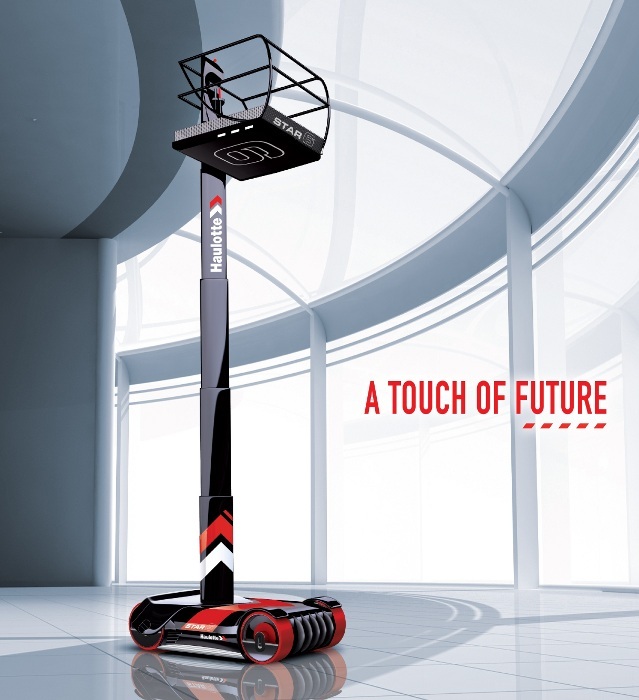 The first TTR 220 crane is developed by the two partners. 1985: Pierre Saubot takes control of Pinguely-Haulotte from Creusot Loire. 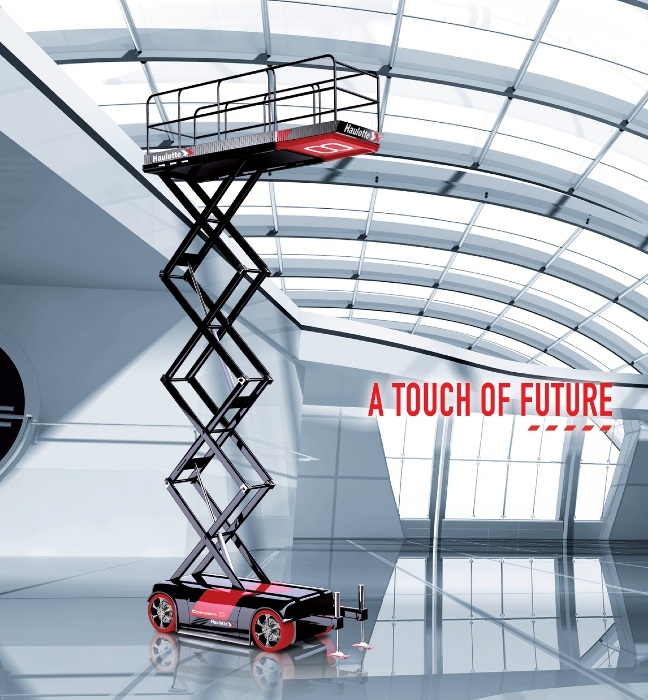 Haulotte gradually gets involved in the emerging market of work cages. The mobile crane sector, especially the military ones is managed by Pinguely. 1986: H46N – the first Haulotte work cage. 1992: The Haulotte H76 platforms appear. 2003: Pingurely-Haulotte joins the space race: the Shenzhou V capsule, the first space flight with persons onboard launched by China. 2003: “Haulotte loads up to charge ahead!”. This was the message promoted within the well-known publicity campaigns launched by Haulotte Group. 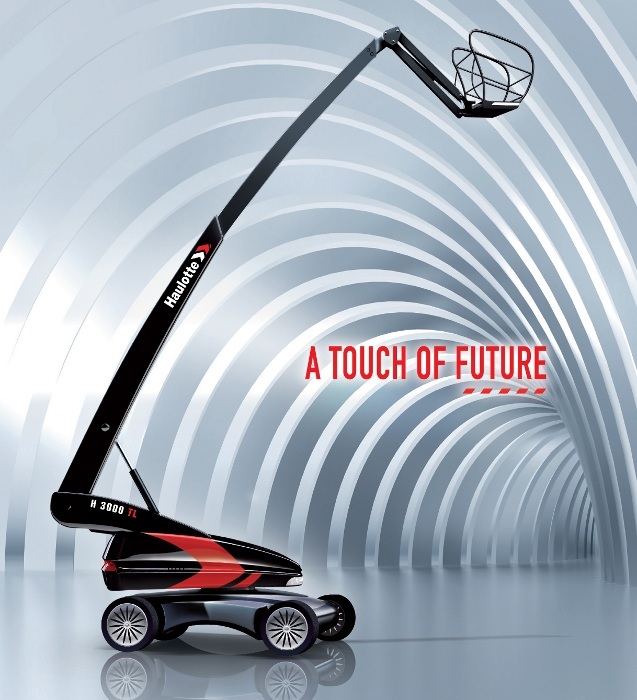 The diversification of the group products started with material lifting equipments such as telescopic handlers (developed in partnership), cranes with radio waves automatic control and backhoes with a 360° turning radius. 2005: We change the group’s name and logo. “Pinguely-Haulotte” becomes “Haulotte Group”, which reflects in a better way the diversity of the activities and the global dimension that the producer acquired across the years. 2006: Recognized European leader and the third great international material and person lifting equipment, it reaches a turnover of Euro 519.3 million and 1.600 employees worldwide. 2006 was a year of records once with the successful listing on the stock exchange of the Haulotte shares on Euronext Paris (SBF 120). Another step was made in the field of service through the opening in the Rhone –Alps area in France of a Haulotte Service Reception and Expertise Centre having a surface of 6.000 s. m. entirely dedicated to the company. This thing led to the creation of a new dimension of the relation with the clients at a global level, also stressed by the opening of the marketing and service subsidiaries for the clients of Asia, Eastern Europe, Mexico and South America. 2009: Official opening in Romania of the Haulotte Arges factory.